I just love how my latest project turned out! 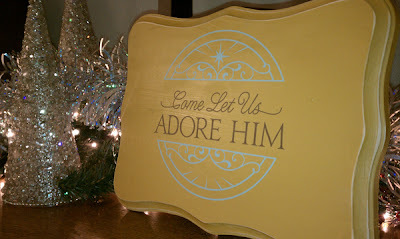 Using a small Uppercase Living expression and a small unfinished wooden plaque from Hobby Lobby ($2.50), I simply painted it yellow and sanded the edges a bit and there you have it! Another great piece for my mantlescape! 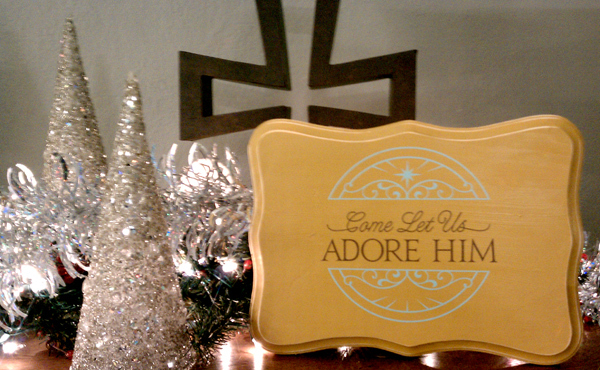 I'm also enjoying incorporating some 'non-traditional' Christmas colors this season. I've been blending my brown/blue/gray scheme with a pop of yellow and red for Christmas. I guess I've never been a traditional red and green Christmas girl anyway, but it is fun using a little different palette this year. To order your very own Uppercase Living, just visit my site at http://candace.uppercaseliving.net. I'll provide the vinyl and inspiration, you bring the glitter and glue!